Mark and I found this old shed in New Norcia. Had nice light coming down from skylights above. ~ by christianfletcher on October 7, 2009. Pretty clean looking shed. Yea very nice light. Love the atmosphere of the f/g, however those windows really detract from what looks like a very moody interior imho. Can you do a tutorial for this image? Really nice. Boy you must do some trespassing 🙂 Great shot, love the light and atmosphere created, not to mention some great props. 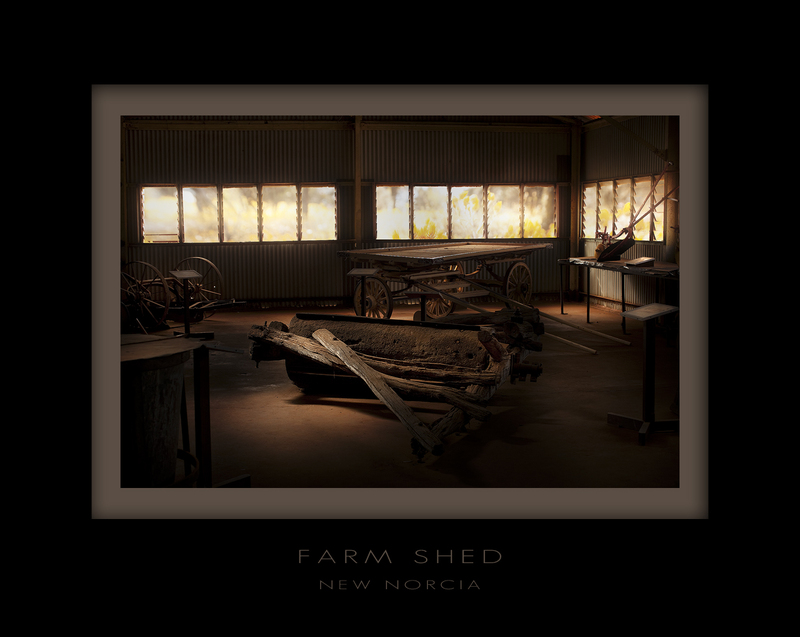 It’s a funny old place New Norcia … I had a look round that shed when I was there and it certainly didn’t look like that. As Thomas says – it would be great to see a tutorial on this image. I think this is just wonderful. OK, the brightness of the windows draw the eye away from the rather lovely tones and colours of the interior, but the out of focus mystery of the window “contents” added to the rather nostalgic experience of the scene for me . I believe this has been “painted with light” rather beautifully and is one of your finest interior works. thanks everyone for the great comments, the funny thing is Brent I used a technique from your recent tutorial to drop a new scene in the windows. The reason it looks funny is because the scale is wrong. The wildflowers in the windows are huge so it actually makes the interior look like a miniature set. Welcome to the blog Katieleigh. Nicely done, i wondered what was bugging me those are some large blooms indeed. You are truly the master at the mood lighting gig! thanks boys, don’t know about an APPA Tommy, ah all right, maybe just a gold, no distinctions here. Is that True North Mark back from the Rolley Shoals already??? We have missed ya mate. I had a little adventure yesterday and am about to post the story! little adventure, your little adventures mean some serious sh1t went down. Looking forward to the story!